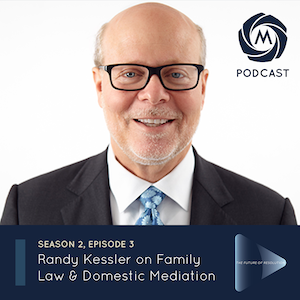 In this episode, prominent family law attorney Randy Kessler discusses complex divorce cases, custody issues, and the benefits of domestic mediation with Miles neutral Hon. Jason Harper. Kessler is the founding partner of the law firm Kessler & Solomiany in Atlanta. He has 30+ years of experience in Domestic Relations and Family Law matters including divorce, custody, paternity, prenuptial agreements and child support. He is the author of several family law books including “Divorce: Protect Yourself, Your Kids and Your Future,” “The GA Library of Family Law Forms,” and “How to Mediate a Divorce.” He is an adjunct professor of Family Law Litigation at Emory Law School and has served as the Chair of the Family Law Sections of the American Bar Association; the State Bar of Georgia; and the Atlanta Bar Association. For more information about Kessler’s practice, click here. For more information about Starsona, click here. The Future of Resolution Podcast is also available on Apple Podcasts , Spotify and Stitcher. This podcast is the latest in a series of episodes that features thought leaders in Georgia’s legal community.